This loan is part of the innovative “Poverty Stoplight” program developed by Fundación Paraguaya for women living in poverty. A “stoplight” measurement tool is used to help borrowers self-identify the type of poverty that affects them most (lack of income, dearth of financial opportunities, poor living conditions etc.). Borrowers rate 50 areas of their life as green (not poor), yellow (poor) or red (extremely poor). Together with their loan officer, they come up with a plan to resolve yellow and red indicators. 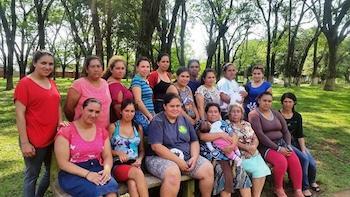 Through this program, Fundación Paraguaya hopes to lift 9,000 women and their families out of poverty by 2017. Congratulations to Kuna Aty Group in Paraguay...!